Posted on March 1, 2013 at 9:22 pm. Boston Dynamics has developed a new throwing arm, presumably so that Big Dog can play fetch with itself. Posted on March 1, 2013 at 4:22 pm. There is a significant event in the history of twentieth century Scotland that has, to my knowledge, never been properly acknowledged: the first successful transatlantic flight of an Unmanned Aerial Vehicle, which landed in South Uist in August 1998. These days, of course, we call them ‘drones’. They are the means by which extra-judicial killings are increasingly being enacted, the Obama administration following George Bush in applying the technology to pick off a ‘kill list’ – entirely outside the scrutiny of courts or legislature. The remarkable thing about the new drone warfare is how quickly it has become normalised. Well over 2000 people have been killed by US drone strikes in Pakistan alone, a sovereign country which is a close ally of the United States. And as my geography colleague Ian Shaw argues, the results of experience in overseas military operations are rapidly being applied at home, with all manner of domestic surveillance and control applications now awaiting us. There is no direct kinship between the Predator drones at use in Pakistan and Yemen and the drone that landed at what is now the Qinetiq range in South Uist. But the event of the 21st August 1998 still represents a significant step – an important milestone of endurance – in the evolution of this wider technology. What happened fifteen years ago still strikes me as extraordinary. Using less than three dollars’ worth of aviation fuel, a pilotless miniature robotic aircraft successfully completed a transatlantic flight, establishing records for the both the smallest aircraft and the first Unmanned Aerial Vehicle of any size to make such a journey. Designed by Tad McGreer and the Washington-based Insitu Group, the Aerosonde ‘Laima’ (named after the Latvian goddess of good fortune) was launched from the roof of a family saloon car at Bell Island, Newfoundland. It arrived in South Uist, about an hour late, taking 26 hours 45 minutes to complete the 3270km journey, being brought down to land on the machair without wheels and bearing only minor scratches. Laima landed to very little fanfare in either the UK or the US. One person who did notice, however, was Jef Raskin, the one time colleague of Steve Jobs, who developed the original Apple Macintosh computer. Raskin could see that the implications of Laima were far-reaching. The Aerosonde was cheap (under $10,000), lightweight (13 kg), undetectable, efficient (1300 miles per gallon), low-tech (made from variations on a lawnmower engine and a model aircraft) and yet sufficiently robust to potentially carry a nuclear device. 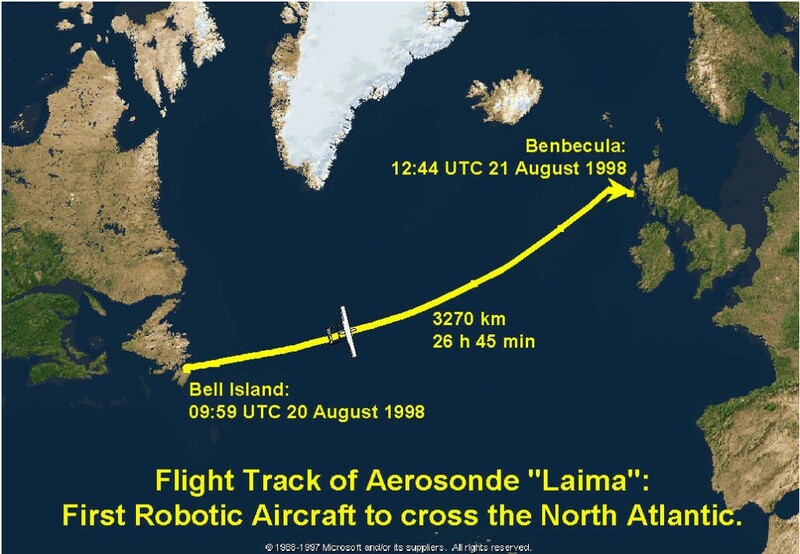 For Raskin, Laima’s flight to South Uist rendered the US Strategic Defence Initiative (the $200 billion dollar ‘Star Wars’ missile defence system) redundant at a stroke. If, for only a million dollars, he argued, one hundred such planes – some equipped with nuclear devices – could be launched against an American city, no existing or planned military hardware could possibly forewarn, far less forearm, against such an attack. Fifteen years later, the fearful scenario that Raskin laid out – bearing more than a trace of post 9/11 anxiety – has happily not come to pass. But Raskin was surely right to see the strategic significance of drone warfare, the exact consequences of which are still hard to anticipate. What we have learned from nuclear missiles – yes, these too were tested in the islands – is that there is no putting the genie back in the bottle. 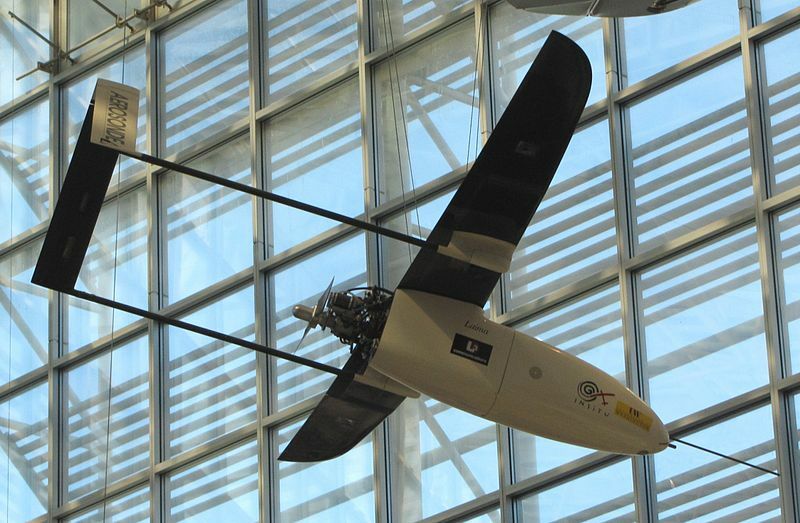 And unlike nuclear technology, the components of drones are rather more accessible – not only to state security services but also to those they seek to target. T. McGeer and J. Vagners, ‘Historic crossing: an unmanned aircraft’s Atlantic flight’, GPS World 10.2 (1999), 24-30.